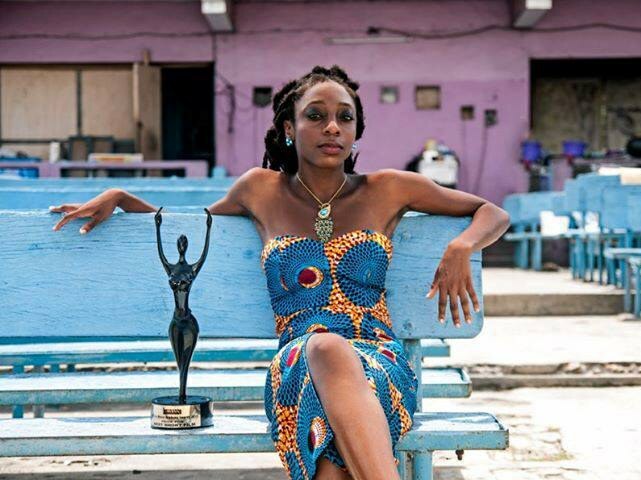 2013 has been a stellar year for Akosua Adoma Owusu. She recently had not one but four of her films selected for the Whitney Museum's permanent collection, films which have spent the year on show at a number of major international film festivals. Earlier this year her short film Kwaku Ananse — which recasts the Ananse figure to capture the ambivalence of return, and diasporan doubleness — won Best Short Film at the Africa Movie Academy Awards. 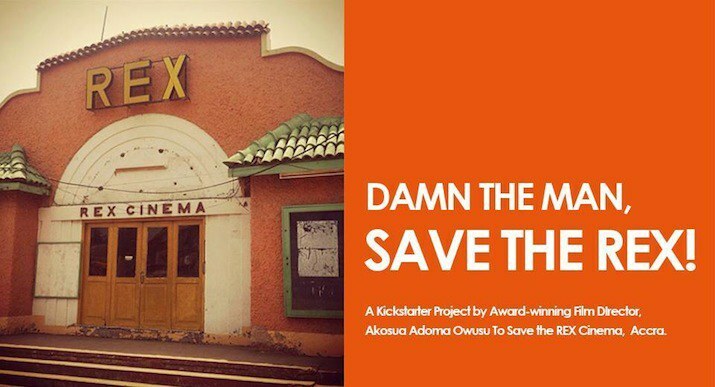 Her latest project "Damn the Man, Save the Rex" is a campaign to transform Accra's REX Cinema into an alternative space for the creative arts including, but not exclusive to, film. Although Shirley Frimpong-Manso and other major players have put contemporary Ghanaian film on movie-map, the industry's viral forms of distribution are not exactly cinema-friendly. Whether you watch movies on the Intercity STC, on your laptop, in the market, or in your living room, Africa's video industry is sometimes understood as signaling the obsolescence of the cinema house. It took a win at Cannes to persuade Chadian director Mahamet Saleh Haroun's (A Screaming Man; Gris Gris) government to allocate $1 million to restore the capital's formerly-dilapidated Normandie cinema. Major awards aside, t's unlikely that those in charge of government coffers will be making it rain on the continent's cinemas, unless, like Chad, they see potential to "rebrand" the country as the home of African-art cinema. What's interesting about Owusu's project is that she does not plan to dedicate the renovated REX to Hollywood blockbusters, nor is she seeking help from Ghana's government. Instead she's turned to crowdfunding to make the REX a Ghanaian arts hub for artists working across media, across the nation, the continent, and the diaspora. The aim, as expressed in the video below, is to foster a collaborative space, moving away from the auteur/audience separation which has made the cinema an unnatural successor of West African travelling theatre traditions, in which audiences are decidedly more interactive. Owusu's vision for the REX answers a genuine need for spaces where artists can exhibit, workshop and share their work - a vital part of any creative infrastructure. Not just a flash in the plan, Owusu told Zachary Rosen how she plans to make the project sustainable. With just ten days left to raise just under $4000, Owusu is well on her way to procuring a projector for the space and making it visitor-friendly. If she does, it will mean a little less "sitting in roundtable discussions" postulating about "the future of African cinema but not really doing." To learn more visit the Kickstarter page, donate, and spread the word.